You can use them as a partial mulch, in the compost pile. Used grounds have pH of 6.5.-6.8 as the acidity is mostly leached out into the coffee. Coffee grounds have a great texture and mixed with manure will make great soil for your beds. If you talk about mulching beds with wood chip then often people do a short intake of breath and then go on about how the wood chip will rob nitrogen from the soil. I don’t think it would do that to any great extent and besides which unless nitrogen is free flowing though the soil then it could only rob from the top layer it is in contact with. And as soon as it’s broken down it releases any nutrients in it making the soil more fertile not less. – water conservation, helping moisture stay in the ground. – soil protection – protecting soil from wind rain and sun, stops erosion. – worm habitat improvement – a good environment for worms underneath allowing more activity. – soil insulation from temperature fluctuations. all out way any possible loss of small amounts of nitrogen from the soil surface. I love mulch! It’s a great way of getting great gardening results and is less effort than you’d imagine. Hoeing is a way of creating a dust mulch. I was hoeing between the garlic at the community garden last night creating a mulch of dust. The weather has been strange this year already even though it’s only April. With a spell of very wet weather and then some warm weather the soil appears to be cracking in places. This is in beds without a lot of organic matter in. Mulching the surface of soil can help protect it from the various weather conditions that cause the soil to be dried out or crack. It can protect it from the wind drying out the soil, and from excess rain. Whatever you use as mulch ideally it will be free! Everyone loves a freebie and so people want to look at using whatever you can get your hands on. Grass cuttings should start being available as soon as you mow the lawn. I know some people are keen to keep grass clippings on the lawn to mulch that, but for anyone who grows vegetables it’s a great way of making the the soil safe and protected. It can be good for mulching thinly around onions, over potatoes, as well as a layer in the compost heap to get things really going. Mulching can make your garden area look neat and tidy too. More public areas may need bark chippings, as many people will frown at the grass clippings fading on the borders. 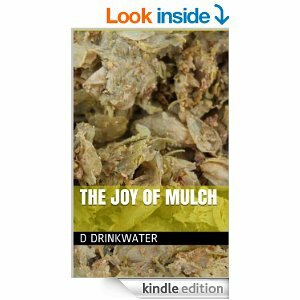 If you’d like more information about mulching, the different types of mulch, then have a look at this ebook I’ve written. Everything you needed to know about mulch but were afraid to ask. Which mulch to use, where to find mulch, and an A-Z of mulches. I’ve got a huge pile of woodchip available – and as much as we want when we’ve used this up! 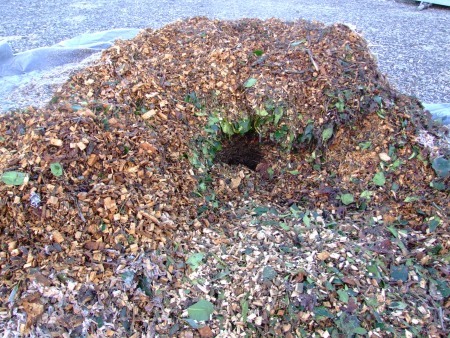 This pdf (right click file save as) is research done into the use of woodchip as a mulch cover. 3. The main-plot treatments that included hardwood chips as a soil amendment were particularly beneficial in terms of effects on crop yields, on several chemical and physical soil properties, and on indices of soil biological population and activity. Under continuous cropping to vegetables, topdressing with hardwood chips after planting (the chips to be plowed under the following year) was an outstanding treatment with respect to effects on yields and maintenance or buildup of soil nitrogen and structure. Cocoa shell mulch is perfect for suppressing weeds and holding moisture in beds and borders, and is a natural by-product of chocolate manufacturing. It rots down gradually, improving the structure of the soil but will need topping up every few years. Once the cocoa shell has been spread over the borders and has got wet, it will form a crust which binds it together. This crust will help prevent slug and snail attack. Please note: Cocoa shell contains the naturally occurring substance theobromine. If eaten by dogs, this can be very harmful. Please keep your dog away from the treated area until the mulch has settled i.e. a couple of weeks. If you are still concerned, please contact your local vet. A white mould occasionally appears on cocoa shell when first applied this soon disappears as the cocoa shell starts to form the crust which binds it together. If you have a dog I would avoid this product just to stop you worrying. If you love chocolate though you’ll love this! Got hedge cuttings that are a bit too big to compost? Shred them through this machine and you’ll quickly make great compost or use the clippings a tidy mulch. Suttons Seeds have this great machine that has a long-lasting steel cutting gear blade that will slice through branches up to 40mm (1½”) in diameter. How to shred mulch – make sure the branches aren’t too thick and put them through this machine. Collect the shreddings and either compost them in a heap for a few weeks or apply as a 2-3″ layer of mulch immediately. Shredded material will compost down more quickly. Intermix layers of shreddings with grass clippings and other waste for a good compost mix. Shredding hedge clippings means they take up less space too so are more likely to fit in your compost bin! Shredding is a simple and environmentally friendly way to dispose of garden rubbish, and create a super organic mulch for beds and borders. The AL-KO Silent Power SP5000 shredder has a kickback-free feeder mechanism and a hardened steel gear that “pulls” the material through, crushing it silently and safely (because the material is crushed the rate of decomposition is accelerated, leading to quicker composting!). Features:â€¢ Reverse feed function to remove jammed material and ensure blockage-free operation.â€¢ Anti-friction rolling system which significantly reduces noise levels.â€¢ Long-lasting steel cutting gear blade that will slice through branches up to 40mm (1Â½”) in diameter.â€¢ A unique and extra sturdy undercarriage with larger wheels for enhanced stability and easy transport all around the garden.â€¢ 3 pin moulded plug & 6m (20′) cable. Weight 25kg.. . . . . .
Don’t have room for a compost bin? Don’t want to fill a green bin with grass clippings? Use a mulch mower and the lawn cuttings stay on the lawn but are finely chopped up making a useful mulch! 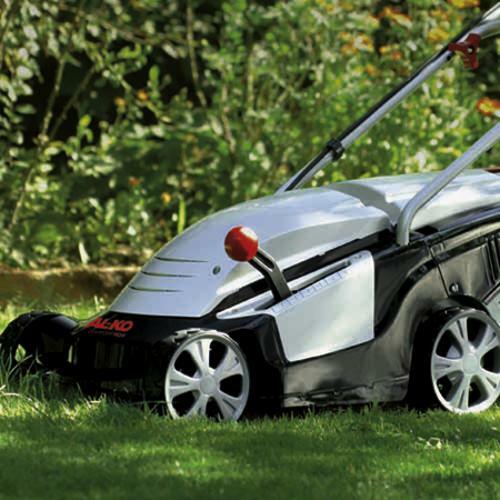 With a 40cm (16″) cutting width and powerful 1400 watt induction motor, the AL-KO 40E Comfort will make short work of mowing your lawn. Attach the large 43 litre grass collector (with fill level indicator) if you want to collect the clippings, or the mulching plug to finely chop them and send them back into your lawn as a natural fertiliser. 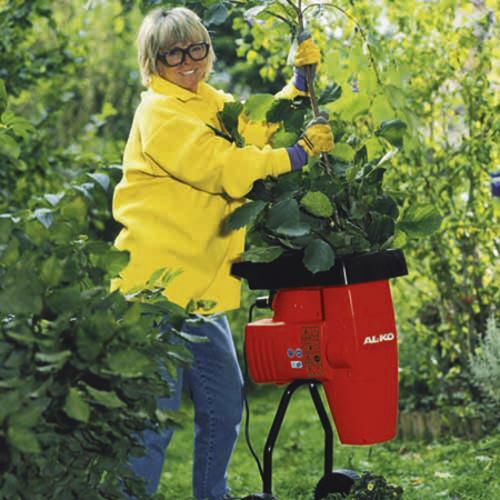 Other features include:â€¢ A convenient safety handlebar which is accessible from the top and both sides, and cable strain relief which keeps the cable out of the way during mowing.â€¢ A wedge shaped design which allows for easy mowing under bushes and shrubs.â€¢ Easy single lever 6 stage height adjustment from 28mm (1″) to 68mm (2Â¼”).â€¢ Through axles which ensure extra stability and straight running.Supplied with 16 metres (52Â½’) of cable. Weight 19kg. Some home assembly required. 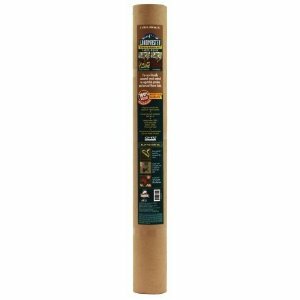 1 year manufacturer’s warranty.Voted Amateur Gardening BEST BUY 2008. . . . . .
Suttons Seeds have two packs of Mulch mats available. 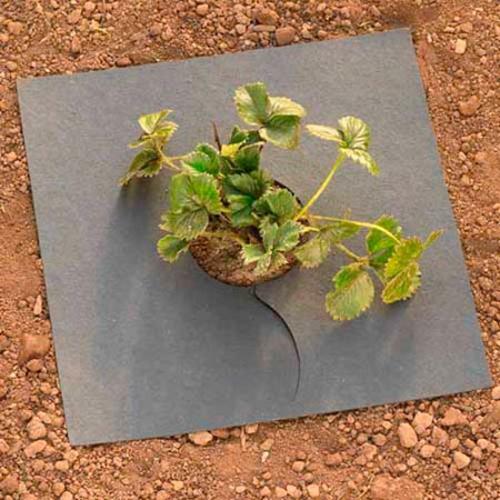 Our organic fyba mats will protect strawberries, salad crops and newly planted shrubs from muddy splashes, deter slugs, suppress weeds and retain moisture around the plant roots – and they stop fruit from rotting when they touch bare soil. Each mat is approximately 30cm (12″) square. Buy 2 packs SAVE Â£2.00!. Pack of 10. . . . .